We here at Pumpkin Fine Cars just wanted to take a brief moment to wish all of our great friends and customers a very Happy, Healthy and Prosperous New Year!!! It is due to you and your loyalty that keeps us delivering high quality pre-owned vehicles into 2011. We only ask that you please be very safe and careful if driving tonight, and please do not drink and drive. If there is any doubt, call a cab, hop on a Jitney or call a friend! We wish you all the best for 2011 and we can't wait to get started putting pristine Pumpkin Cars on the road next year! Pumpkin Cars will be Closed Tomorrow Jan. 1, 2011 to celebrate the holiday and will be closed Sunday Jan. 2 as usual. We will return to our normal hours of operation Monday Jan. 3 and look forward to seeing you at the showroom. Cheers! Pumpkin Fine Cars & Exotics' Car Of The Day...JUST IN!! 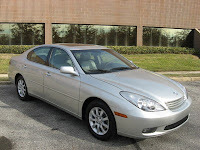 A 2002 Lexus ES300, 4-Door Mid-Sized Luxury Sedan. This baby is the RE-DESIGNED, third installment of the ES line-up. According to Edmunds.com, Lexus has always been known for its "HIGH LEVELS OF COMFORT, CONVENIENCE & REFINEMENT" making this pre-owned ES300 no exception! Redefining their luxury appeal, Lexus has increased their wheelbase length and added height for greater passenger room & comfort. Its also provides a QUIETER RIDE then before thanks to new sound-absorbing materials. Still powered by a 3.0 liter V6 engine, which produces 210 horsepower and 220 pound-feet of torque, but with a new 5-speed automatic transmission, this ES300 is now earning an EPA fuel mileage rating of 21 MPG in the city and 29 MPG on the highway. 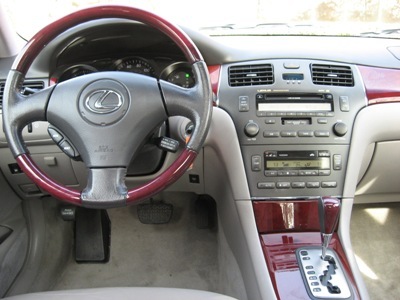 So if you are looking for a luxury vehicle but want to save some money in the end, Lexus' ES300 has the reputation for providing a low-maintenance entry-level luxury sedan at a fraction of the cost of a new one... Buy this Lexus from us for ONLY $12,995. CONTACT US NOW at (609)646-7676!!! A Silver on light gray leather color combo with California burled walnut accessories, this pre-owned Gem not only LOOKS GREAT but provides all the fancy features one would expect from a luxury sedan. An in-dash 6-DISC CD Changer, POWER HEATED SEATS with Memory Positioning, Alloy Wheels, XENON Headlights, Traction Control, Auto Dim Rear View Mirrors and a Digital Compass are just a few of the many features this Lexus has to offer. Top it all off with just over 84k original miles and a PERFECT CARFAX History Report and you've got yourself ONE HECK OF A GOOD DEAL! Stop on by our UNIQUE INDOOR SHOWROOM for a HASSLE-FREE TEST DRIVE today! For more information log onto our website at http://www.pumpkincars.com/ or send us an email at [email protected]. Pumpkin Fine Cars & Exotics' Car of The Day today is none other than the SUV! Considering the Winter Wonderland that we are experiencing right now, maybe you are in need of an SUV or maybe you have been planning on buying one for sometime now. Either way, we have some GREAT VEHICLES for you to choose from! If you are looking for something with that ever so convenient THIRD ROW, we have a 2003 Mercedes Benz ML350 which seats 7. It has a Navy Blue Exterior on Gray Leather color combo, is FULLY LOADED and comes with a PERFECT CARFAX HISTORY REPORT! This V6, 3.7 Liter, AWD with ONLY 68k original miles comes equipped with Power HEATED SEATS, Running Boards, a 6-Disc CD Changer, Roof Rack, Alloy Wheels and more! Priced at ONLY $14,995! 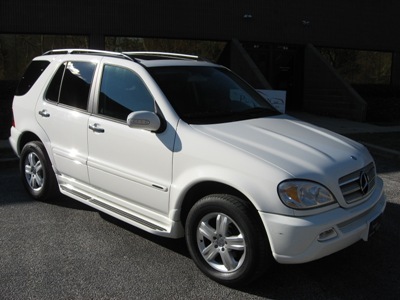 If you are looking for something a LITTLE NEWER, we have a ONE-OWNER 2005 Mercedes Benz ML350 SPECIAL EDITION with 2 BRAND NEW TIRES and 75,900 miles for $17,995. A Classic White Exterior on Charcoal Leather also has a V6 engine with AWD. Features including Navigation, Power HEATED SEATS, Running Boards and Alloy Wheels are just to name a few! 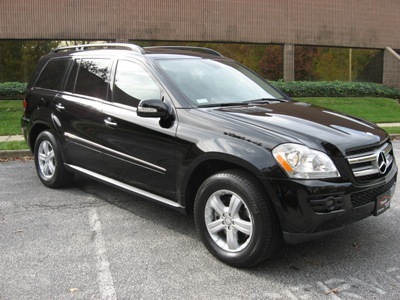 Keeping with the ML line-up, we have a NEWER BODY STYLE 2006 Mercedes Benz ML350 with a UNIQUE METALLIC Pewter on Black Leather color combo. It's a CARFAX CERTIFIED ONE OWNER with a PREMIUM PACKAGE inlcuding Navigation, Power HEATED SEATS, Harmon Kardon Stereo System with a 6-Disc CD Changer & CD Player, Privacy Glass Windows, Auto-Dim Rear View Mirrors, Alloy Wheels and more! 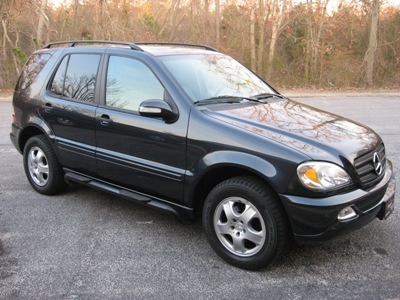 Own this AWD, V6 Benz with ONLY 66k miles for $24,995! 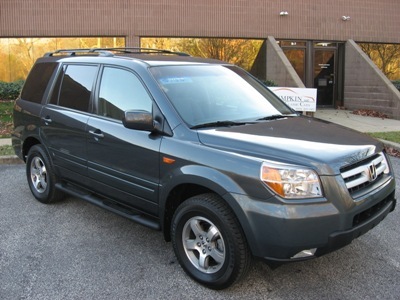 If you prefer a vehicle with just as many options and the RELIABILITY & COMFORT of a Benz but you don't have the budget for one...we have a 2006 Honda Pilot EX 4X4 with a V6, 3.5 liter engine. This Pilot has a CLEAN CARFAX REPORT and is a ONE OWNER vehicle. 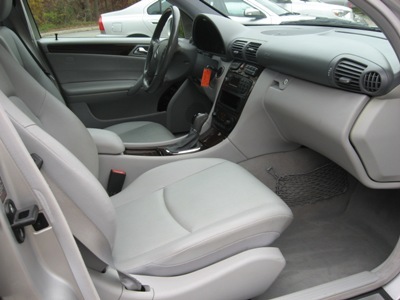 Graphite Metallic on Gray Cloth Interior and only 56k Miles! Luxury options include a DVD Entertainment System, 6-Disc In-Dash CD CHANGER, Alloy Wheels, Running Boards, Privacy Glass Windows and More!!! You can HAVE IT ALL FOR just $18,995! As with all of Pumpkin's Fine Cars these have been FULLY SERVICED & PUMPKIN CERTIFIED! They each come with a FULL PROFESSIONAL DETAIL and are BACKED BY OUR One Month / 1,000 Mile POWERTRAIN WARRANTY! For MORE EXOTIC SUV's or for a complete listing of our pre-owned vehicles currently in-stock, click here or log onto our website at http://www.pumpkincars.com/. Contact us anytime at (609)646-7676 or by email at [email protected]. WE ARE UP & RUNNING!!! WELCOME BACK everyone from a very cold and wintry Holiday week! Now that the Holiday rush is over, and instead of playing outside with our new toys and gadgets, we're busy trying to free ourselves and each other from the mounds of snow and ice we have received! 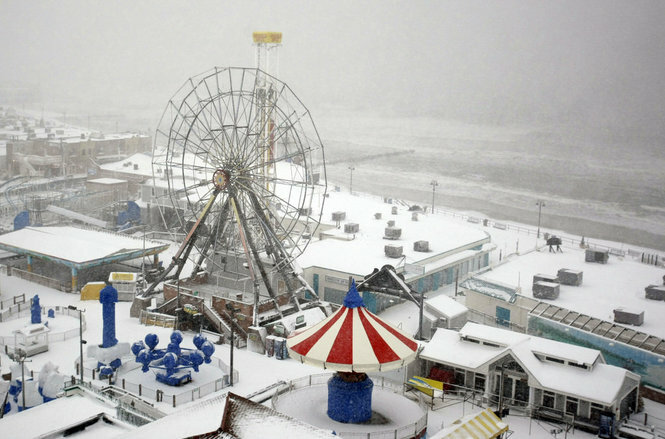 Well, some of us were wishing for a white Christmas and boy did we get one! We want to remind anyone who missed our blog yesterday that we are OPEN TODAY, Tuesday December 28th and WILL BE HERE ALL DAY, closing around 6:30pm. We will be running at our normal showroom hours Wednesday and Thursday from 10am-6:30pm but will be closing a little earlier on Friday, New Year's Eve at 5:00pm. 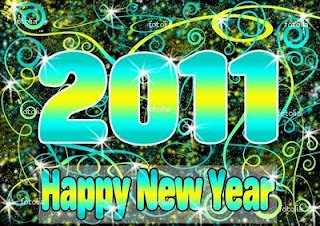 We will be CLOSED FOR BUSINESS ON NEW YEAR'S DAY but will re-open at our regular scheduled hours on Monday, January 3, 2011! For more safety tips from Franck Freon during this Winter Season, click this link and view yesterday's blog which had some great maintenance tips for ensuring your vehicle's health & operating status while enduring the winter wonderland. DRIVE SAFE & remember to be PATIENT & KIND to those who are out on the roads today! All those that were lucky enough to get a new snow blower for Christmas, raise your hands! I'm sure it has since been put to great use. Here at Pumpkin Cars we just wanted to remind everyone, while you are digging out and cleaning off your cars, please make sure not to turn on your windshield wipers until they are totally thawed out and your windshield is completely clean to avoid surely burning out your wiper motor. Also avoid trying to roll down your power windows until the car is totally warm and all ice is melted away to make sure you do not burn out a window regulator! These are two very simple, yet very overlooked tips on freeing your car from a lot of snow and ice. Also, just a quick note on our schedule this week. Today, Monday the 27th, we are closed and are attempting to dig ourselves out from 20+ inches of snow as I'm sure most of you are as well. We will be open regular hours tomorrow, Wednesday and Thursday. New Years Eve, Friday, we will be closing a little early, at 5pm and will be closed New Years Day. Starting Monday January 3rd we will be back to our regular hours for the foreseeable future. What a great time of year! Everyone, although admittedly stressed, just seems to be happier and more pleasant. This is certainly the time of year for most where we look forward to spending time with family and enjoying the wonders of Christmas, no matter how old you are. Try...just try, not have your face light up when you see an impressive Christmas tree, or a house lit up like that of Clark W. Griswold. It's called "The Christmas Spirit" and it is a very powerful feeling that can even lighten the mood of characters as sour as Scrooge and the Grinch! All of us here at Pumpkin Fine Cars would like to wish all of our great customers, friends, vendors and colleagues a very Merry Christmas! Enjoy these few days with familyand friends. 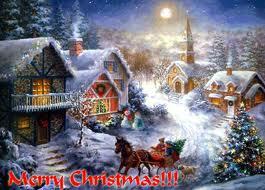 Enjoy the The Christmas Spirit that abounds this time of year. Make new memories and be sure to tell those stories of past holidays that everyone always enjoys hearing year after year. Welcome new family members into your Christmas traditions and join in with happiness and enthusiasm if you are the new family member! Quite simply, if you have not already, get into the Christmas Spirit! 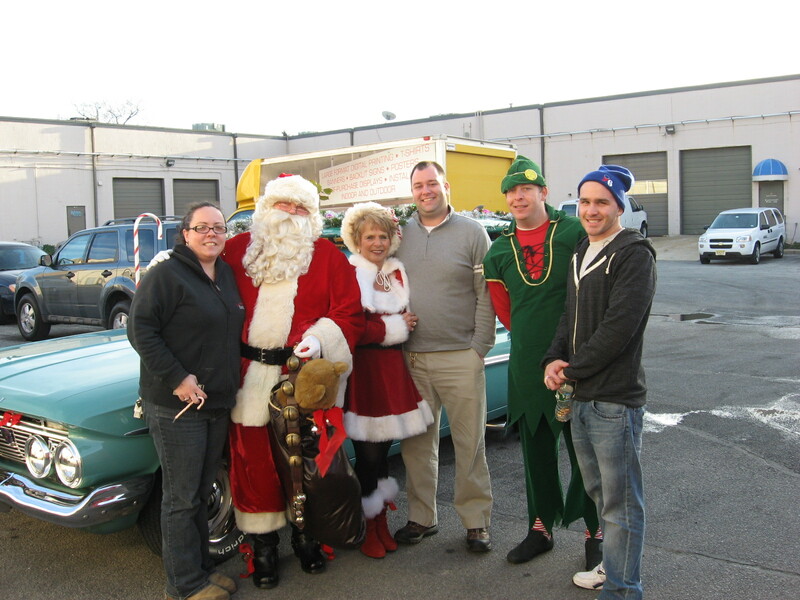 We had a visit from Santa, Mrs. Claus and an Elf here at the showroom yesterday and it quickly lightened everyone's mood and got us in the Spirit. Just one example of the wonder that Christmas brings! So please, from the Pumpkin Cars family to yours, enjoy a safe, happy and healthy Christmas and begin to look forward to a great New Year in 2011! As always, if you are traveling over the weekend please take your time, drive very safely and cautiously and never never never drink and drive! Merry Christmas to all and to all a great night! 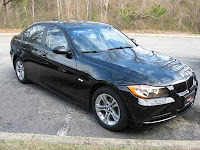 Pumpkin Fine Cars & Exotics' Car Of The Day...a 2008 BMW 328xi, 4-Door Sedan. This BEAUTIFUL, All-Wheel Drive 328xi with ONLY 35,114 original miles is selling for $23,995.00. It has TONS OF LUXURY FEATURES and as Edmunds.com states it has "perfectly sorted vehicle dynamics, potent and refined engines, high-quality interior materials and a wide range of configurations." This vehicle is so much fun to drive with its 6 cylinder, 3.0 liter engine and gets great mileage. It has a PERFECT TITLE HISTORY and is a ONE-OWNER VEHICLE. 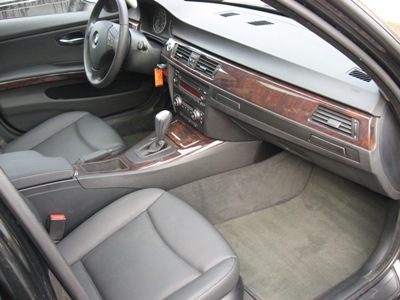 This LIKE NEW '08 328xi has a Black on Black Leather color combination. Plenty of Features including Power/HEATED SEATS, Alloy Wheels, Telescopic Steering Wheel, CD Player and its UNDER A FACTORY WARRANTY Till Dec. 2011! Get out of the cold and stop by our UNIQUE INDOOR SHOWROOM for a FREE, NO-HASSLE test drive today! Contact us at (609)646-7676 or by email at [email protected] for more information. To view a complete listing of our pre-owned vehicles, visit us on the web at http://www.pumpkincars.com/. We have financing available, for those who qualify and every vehicle that bears the Pumpkin name has been FULLY SERVICED and PUMPKIN CERTIFIED! Come by our showroom and see what all the Pumpkin talk is about! 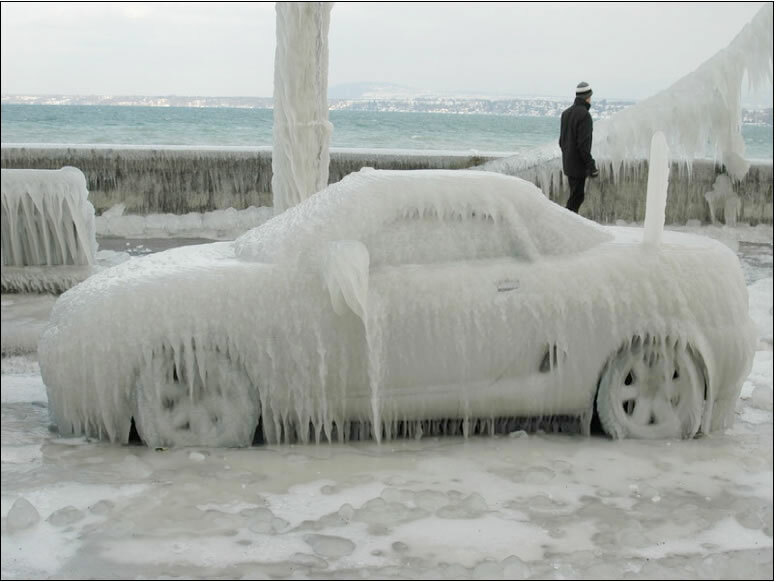 Before we even start our vehicles, cold winter temperatures could already cost us money and time! For those who still use their key to unlock their door, be careful. Cold temperatures could freeze the key cylinder and by trying to turn your key with too much force you will break it. If there is too much resistance, use some ice-breaking spray or some hot water. Now that you are ready to open the door you may find out that it's stuck to the frame. A progressive pull should do it. A strong one could break the door handle. Again use some hot water if the door does not give. Great, you are now inside your car. 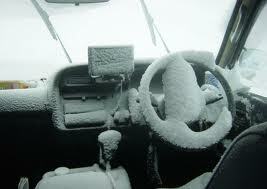 If the windshield is frozen DO NOT use the wipers. They are most likely frozen onto the windshield and by turning them on you WILL BREAK the wiper mechanism. Make sure the wiper lever is on the OFF position, also make sure all the electrical items are OFF (radio, headlights, fan, etc...) in order to conserve your battery's energy and start the car. Then be brave and get back outside to scrape the windshield! When the windshield is clear, gently lift the wipers to set them free. Running them on an icy windshield will instantly damage their rubber edge and you would have to replace them for safety right away. You deserve now to get back in your car but please DO NOT TRY to roll down a window. That's a guaranteed $300 to $500 damage since the window is most likely frozen to its rubber frame. By pushing on that electrical switch you would blow the window regulator up in a fraction of a second....please don't even try, it will break for sure. I do not think it's necessary to mention that the sun-roof and moon-roof are out of the question as well. They are frozen and you will blow up their mechanism. If a side mirror or a window is not clear and therefore driving your vehicle would be dangerous, get back out and finish cleaning the ice or snow. Driving a vehicle with a blind spot(s) is the last thing you want to do. When the car has been running for a minute and all the windows/windshield/mirrors are clean, you are ready to go. Turn on your lights and heating fan, shift into "D" and again give it a couple of seconds before pressing the accelerator. This will give your transmission enough time to command everything properly despite the very cold temperature of its oil. The first mile or two are critical. Be gentle to the car. Nothing between the engine and the gearbox are at operating temperature. It's like running a mile straight out of bed....in the cold! Feel for your car, give it some love, it will reward you in the long run. Be safe and drive smart. Swing by our unique indoor showroom located on Fire Road, right next to our friends at Darrell's Auto Repair in Egg Harbor Township. Feel free to browse our inventory, or just stop to say "Hi" to Franck Freon and his professional and courteous staff. As always, Pumpkin Cars can be reached over the phone at 609-646-7676 and via email at [email protected] . You can find and "Like" Pumpkin Cars on Facebook, follow the tweets of @PumpkinCars on Twitter, view videos of our pristine inventory & showroom at the Pumpkin Cars Channel on YouTube and if you enjoy what you have just read, please subscribe to our blog. 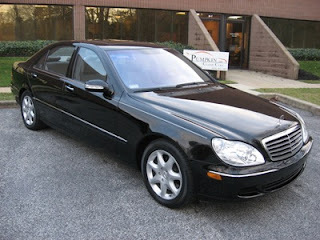 Pumpkin Fine Cars & Exotics' Car Of The Day... a STUNNING 2006 Mercedes Benz R350, 4-Door Crossover! 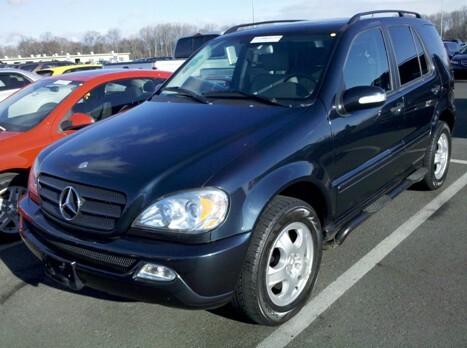 This GORGEOUS PRE-OWNED Benz combines all the best features of a sedan, minivan & SUV. The look is NEW & UNIQUE but the reliability, comfort & style are what you would always expect from a Benz. This BARELY BROKEN IN R350 has only 34,984 original miles and is LOADED TO THE MAX! A PERFECT CARFAX History Report shows this car is in perfect condition! It has been FULLY SERVICED & PUMPKIN CERTIFIED! 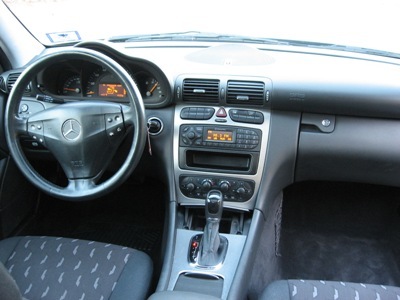 Equipped with a V6, 3.5 liter engine, Automatic, AWD transmission, this Benz is just as much fun to drive as the rest. You can drive away just in time for the Holidays for ONLY $24,995! 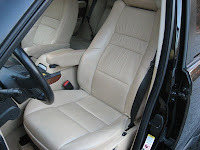 It is a CLASSIC White on Tan Leather color combo and features a THIRD ROW seating 6-passengers with 2-captain chairs in the middle for extra space and comfort. Featuring a PREMIUM Package which includes a Harmon Kardon Stereo System w/ MP3/CD Player & a 6-Disc CD Changer, a UNIQUE PANORAMIC Roof, Power/HEATED SEATS w/ Memory in the front, HEATED SEATS in the rear, NAVIGATION, Power Rear Gate Lift, Power Folding Mirrors, Power Adjustable Steering Column, Privacy Glass Windows and Alloy Wheels...who could ask for anything more! Come in for a NO HASSLE test drive today and see why Pumpkin carries the cleanest and best valued cars around! CONTACT US at (609)646-7676 or send us an email at [email protected]. For more information or to view a complete listing of our pre-owned vehicles currently in stock, visit us on the web at http://www.pumpkincars.com/. We have financing available and Extended Warranties customized to fit every buyer's needs. Get out of the cold and come browse our inventory inside in our UNIQUE INDOOR SHOWROOM located in Egg Harbor Twp just outside of Atlantic City! We look forward to meeting you soon! Good Afternoon! We continue our look at all of the pristine vehicles that we now have in our inventory that feature all wheel drive. Today we will take a brief tour of the great SUV's that we have right now, ready drive home and also drive home in the snow! First we will lead with the best of the best. 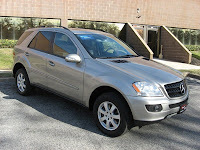 For your consideration we present this gorgeous 2008 Mercedes Benz GL450 4Matic. It is about as sharp as it gets in Black on Black leather and is a Car Fax Certified One Owner Car! It is also under Factory Warranty until February of 2012. With only 35k miles, a truck that most likely sold new in the neighborhood of $60,000 can be yours for only $39,995. 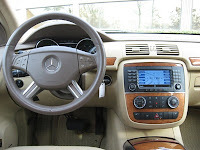 This truck is fully loaded with all the great luxury features that come with a top of the line Mercedes Benz SUV. Ready...Double Power Moon Roof, MP3/6-Disc CD Changer, power/Heated Seats with Memory and ; Lumbar Support, Rear View Back-Up Camera, Power Folding Third Row Seats, Alloy Wheels, Privacy Glass, Roof Rack, Navigation, Parktronic Parking Sensors, Power Lift Gate. Need we say more? 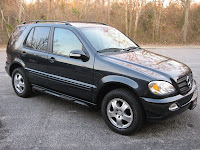 We'll stick with the Mercedes Benz for the time being and let you know about two great ML Class that we currently have. Every ML is equipped with All Wheel Drive and they handle like a Mercedes Benz, not necessarily an SUV. First up is a 2003 ML350 that has an awesome color combination of Navy Blue on Gray and is a unique with a third row and seating for seven passengers. It has great Features and Options like the aforementioned AWD, A 6 Disc CD Changer, Power/Heated Seats, Power Moon Roof, Privacy Glass, Running Boards, Alloy Wheels and a Roof Rack. This ML350 of course has a Clean Car Fax, has low miles at 68k and it priced just right at $14,995. 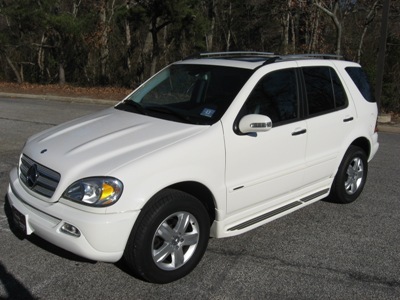 The next ML350 is a sweet 2005 Special Edition that has a very classy color scheme of White on Charcoal leather with running boards and a roof rack. 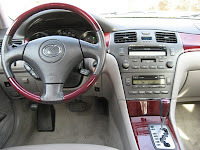 It has Navigation, Power/Heated seats, 6 Disc CD Changer, Two Brand New Tires and is a Car Fax One Owner Car. With 75k miles and priced at $17,995 this is the perfect value for the winter months. For Honda lovers, we have a great 2006 Honda Pilot EX. 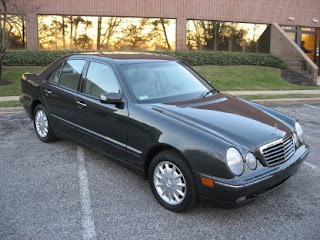 It is also a Car Fax Certified One Owner Car and has only 56k miles! A very nice Graphite Metallic on Gray color combination is eye catching to say the least. Great options abound in this Pilot with a DVD Entertainment system, 6 Disc in Dash CD Changer, of course All Wheel Drive, Running Boards and Privacy Glass. Priced perfectly at $18,995 you will not see a Pilot this clean and well maintained too often. This is one that you shouldn't let pass you by! 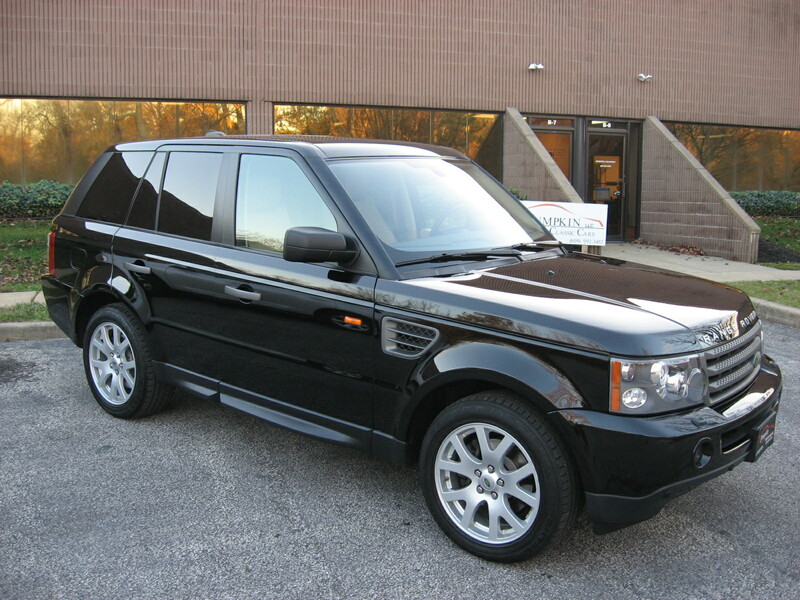 Finally, we have a really mint condition 2007 Land Rover Range Rover Sport HSE. 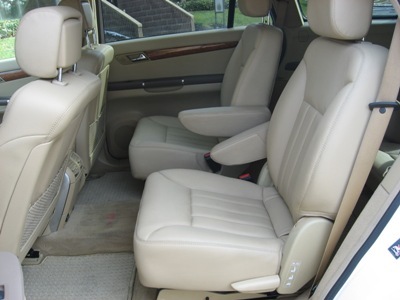 Black on Tan leather and as luxurious an SUV as you can get. This bad boy is also under Factory Warranty until February of next year and is a Car Fax One Owner Car! This SUV is loaded to the gills with options like Navigation, Power/Heated Seats, Power Moon Roof, 19inch Alloy Wheels, Blue Tooth & Parking Sensors. A great truck with only 28k miles and priced just right at $37,995, it can be yours just in time for the winter weather! Swing by our unique indoor showroom located on Fire Road, right next to our friends at Darrell's Auto Repair in Egg Harbor Township. Feel free to browse our inventory, test drive one of the cars mentioned in this blog, or just stop to say "Hi" to Franck Freon and his professional and courteous staff. As always, Pumpkin Cars can be reached over the phone at 609-646-7676 and via email at [email protected] . You can find and "Like" Pumpkin Cars on Facebook, follow the tweets of @PumpkinCars on Twitter, view videos of our pristine inventory and showroom at the Pumpkin Cars Channel on YouTube and if you enjoy what you have just read, please subscribe to our blog. Pumpkin Has Got Plenty of All Wheel Drive!! This is being written as the first snow fall of the season is slowly covering the roads and ground. 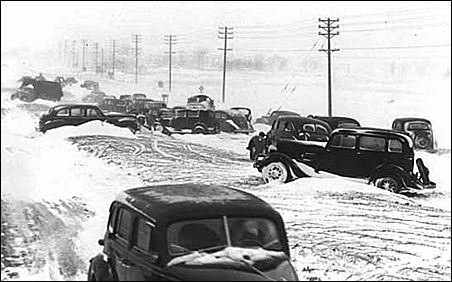 Winter weather is very rarely considered to be "fun" driving conditions. Very few people look forward to getting out on the roads when it is snowy, icy and the like. While the only 100%, sure way to avoid accidents and injuries when driving in the snow is in fact to not drive at all, a lot of us do not have the luxury of staying home for that reason! Other than being extremely cautious and paying close attention to the road conditions and other drivers around you, having a car, truck of SUV with Four Wheel or All Wheel Drive never hurts! Right now at Pumpkin Fine Cars we are ready for another nasty winter with plenty of great pre-owned vehicles in stock that are All Wheel Drive. Here is a quick run-down, let us know which one is perfect for you! First we have quite a few luxury sedans with all wheel drive for those that don't feel comfortable in, or want to remain a little more economical than driving an SUV. Tomorrow we will take a quick tour of the great SUV's we have in stock that offer All Wheel Drive. This awesome 2001 Mercedes Benz E320 4Matic with the unique and classy Dark Gray on Gray leather color combo and only 71k miles can be yours for the extremely reasonable price of $12,495! Of course a clean Car Fax comes standard with a Pumpkin Car! As always with Mercedes Benz, the luxury and performance are unmatched and this E320 is no exception. We also have this fantastic 2003 Mercedes Benz S500 4Matic with the classic Mercedes Black on Gray leather color combination, 88k miles, and a luxury ride renowned the world over as simply the best. Feel safe in the snow without giving up one of the smoothest rides that ever put tires on the road. It has a clean Car Fax and is a One Owner Vehicle with tons of luxury features. This sweet ride can be yours for only $18,495. 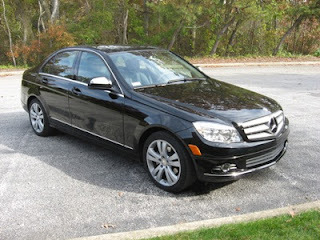 How about this almost brand new 2008 Mercedes Benz C300 Luxury 4matic! With the newest body style and once again more luxury than you can ask for, this car has only 24k miles and is a Car Fax certified One Owner Car! With All Wheel Drive the days of not being able to drive your Mercedes Benz C Class in rough weather are over. Priced just right at $27,995, which is thousands below book value, better get it quick before someone else does. 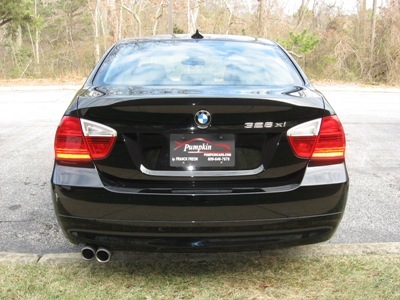 If you prefer that other phenomenal German car manufacturer, we have an absolutely mint condition 2008 BMW 328xi. It has a mean looking black on black color scheme and BMW's X-Drive All Wheel Drive system. With only 35k miles, Full Factory Warranty until December of 2011 and being a Car Fax Certified One Owner Car, you cannot lose here! Priced a few thousand below book value this is a great buy at $23,995. Why spend in the neighborhood of $15,000 more on a brand new model, when this Beamer is just as nice and a fraction of the price! 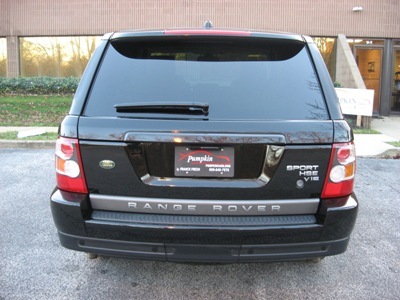 Pumpkin Fine Cars & Exotics' Car Of The Day...a 2007 Land Rover Range Rover, 4-Door SUV. JUST IN...we have this IMMACULATE, BARELY BROKEN IN Range Rover SPORT HSE with ONLY 28,195 original miles. This Bad Boy has TONS OF OPTIONS, COMFORT & STYLE and will get you anywhere you need to go! Edmunds.com said it best, "It might not be the sportiest, hottest performer in its price range, but it remains one of the most enticing luxury SUVs available. If you're after classic British 4WD heritage, capability, comfort and style integrated into a slightly leaner and sleeker, more driver-oriented package, the 2007 Land Rover Range Rover Sport carries over as the natural, top-of-your-list choice." 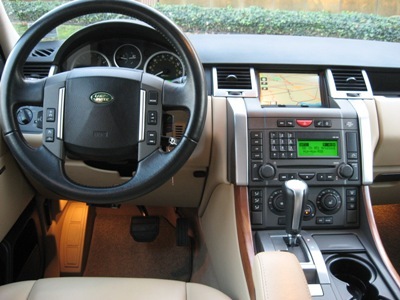 With a FACTORY WARRANTY GOOD TILL Feb. 2011, you'll drive away with peace-of-mind knowing you're in a quality Pumpkin Car with Land Rover's assurance. You can own this beauty for THOUSANDS LESS than Retail at $38,995. We have financing available, for those who qualify and as with all of our pre-owned vehicles, this Range Rover has been FULLY SERVICED and PUMPKIN CERTIFIED! This BLACK on Tan LEATHER Color Combo is both classic looking and clean! It has a CLEAN & PERFECT TITLE HISTORY and has been VERY WELL MAINTAINED. It comes to us from a Car Collector who is very particular when it comes to his vehicles. Options including NAVIGATION System, SATELLITE RADIO, Power/HEATED SEATS with Memory, Power/HEATED Mirrors, a Power Moon Roof, 19 in. 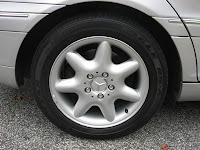 Alloy Wheels, BLUE TOOTH & Parking Sensors. It has a Terrain Response System giving you the ability to adjust the drive & suspension system depending on the variations in surfaces and terrains that you are driving over. 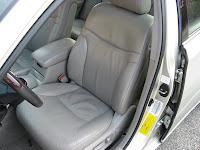 It also has a power adjustable lowering function for easier entry into the vehicle. Come in for a FREE test drive today! CONTACT US at (609)646-7676 or by email at [email protected]. For more information or to view a complete listing of our current inventory, log onto our website at http://www.pumpkincars.com/. Pumpkin Shows You the CarFax!! Now available on PumpkinCars.com is a CarFax Report for each car in our inventory, free for all visitors of our online inventory, to view, print and email. This is an exciting new feature on our website and one we feel adds a tremendous amount of value for our customers and potential customers. As many of our regular customers know we always make it a point to have as much information available on our cars as possible. We also try to have that information available to everyone with as much ease as possible. With this new feature it simply cannot be easier! The full CarFax Report can be viewed with only a few clicks of the mouse. As always, we also keep a hard copy of each report on file so it can be viewed by each customer right here in our unique indoor showroom. It all boils down to the fact that we have nothing to hide about our inventory. We know that many customers spend hours, days and even weeks researching vehicles before they are ready to come in for a test drive. We want our customers to have the advantage of being as educated as possible about the history of the car in which they are interested. Having the CarFax Report available right through our website is just one more step we are taking to ensure this happens. Just a brief lesson on how to access the aforementioned CarFax Reports. First click the "inventory" button from our homepage, then click on the individual car that you would like to view and/or in which you may be interested in purchasing. Just underneath the images of the car, click the "Show Me the CarFax" icon and the report for that car will open in a new window. It really is just that simple. Having a CarFax Report available is definitely a top 5 most important aspect for customers in deciding which car to purchase and CarFax has almost 35,000 different sources from which they pull vehicle information. We here at Pumpkin Fine Cars invite you to check out this new feature on our website. We know it is a "win-win" for both us and our customers. As always, Pumpkin Fine Cars can be reached over the phone at 609-646-7676 and via email at [email protected] . You can find and "Like" Pumpkin Cars on Facebook, follow the tweets of @PumpkinCars on Twitter, view videos of our pristine inventory on YouTube and if you enjoy what you have just read, please subscribe to our blog. 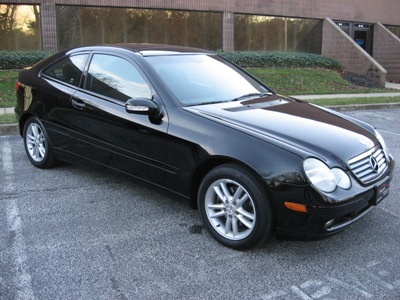 Today's Pumpkin Fine Cars, car of the day is this fun, sporty and fast 2002 Mercedes Benz C230 Sport Coupe Kompressor. This is a pretty unique model that is not very common here in the US, and is much more prominent in Europe. It is black with a black cloth interior, has 77k miles and is priced very reasonably at $11,495. With a 4 cylinder 2.3 liter engine, it gets 29 miles to the gallon on the highway and 19 in the city. You can own a luxury coupe for under $12k and without breaking the bank on gas. Mercedes Benz introduced this car to the market to change the perception of the hatchback as an entry level car while at the same time changing the perception of the Mercedes Benz brand as being unaffordable for most buyers. Even though it is a 4 cylinder engine, it is a light car and has plenty of "get up and go" so it is a really fun car to drive. With the Kompressor it has a super charged 190 horse power and the steering is quick and crisp like that in the C Class Sedan. It is a very sharp body style with a panoramic power moon roof and hatch back making it very a very rare car to see on the road. 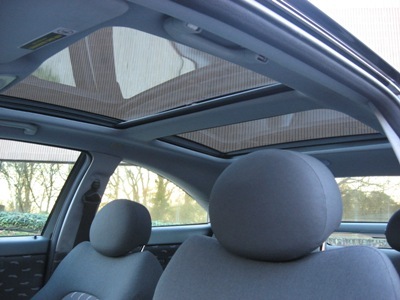 With power windows, locks, steering and alloy wheels together with the moon roof it has some very nice features. Motortrend.com says " The C230 Kompressor Sport Coupe mixes the feel and versatility of those sporty hatchbacks with the solidity and quality of a Mercedes-at a base price well below 30 grand." So great car can be yours for less than half the price it sold for brand new! This C230 Sport Coupe has a clean Auto Check Report, has been test driven by Franck Freon personally, is fully serviced and detailed all as part of our uncompromising Pumpkin Certification Program. The advantage of having a former professional race car driver in Franck Freon test drive each Pumpkin Car personally is unmatched by any other dealership in South Jersey. Through his 18 years as a professional race car driver Franck has an unrivaled expertise and feel for how a car is performing compared to how it should perform. This is just part of the of what makes Pumpkin Cars so great. The car is also prepared at a top notch level and we take great joy in putting high quality pre-owned vehicles out on the road. If you are interested in this or any one of our pristine Pumpkin Fine Cars in our inventory, swing by our unique indoor showroom to take it out for a spin, just to make sure you love it! As always, Pumpkin Cars can be reached over the phone at 609-646-7676 and via email at [email protected] . You can find and "Like" Pumpkin Cars on Facebook, follow the tweets of @PumpkinCars on Twitter, view videos of our inventory and showroom on YouTube and if you have enjoyed what you have just read, please subscribe to our blog. 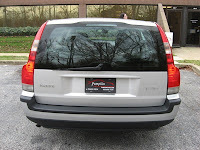 Pumpkin Fine Cars & Exotics' Car Of The Day... a 2001 Volvo V70, 4-Door Station Wagon. 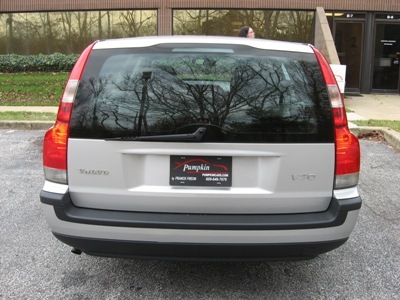 This PRISTINE, CLEAN Pre-Owned V70 Wagon is a GREAT FIND FOR VOLVO LOVER'S EVERYWHERE! Volvo redesigned the V70 for 2001 with a new body structure, fresh styling and upgraded interior and feature content while keeping the safety and reliability that they are known for. 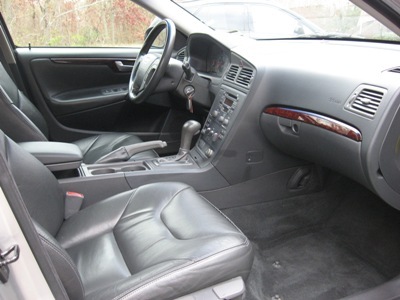 This pre-owned Gem has a Silver body on CHARCOAL LEATHER INTERIOR making for a nice color combination. 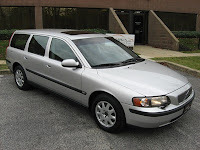 With only 75k miles and a PERFECT TITLE HISTORY, we're selling this Volvo for ONLY $8995.00. This ONE-OWNER vehicle is packed with some GREAT FEATURES including Alloy Wheels, Driver's Side Power Seat & Dual HEATED SEATS, AM/FM Stereo with CD Player, Power Moon Roof and Full Power Options. Come in for a FREE, NO-HASSLE test drive and see what all the hype is about! CONTACT US at (609)646-7676 or by email at [email protected] for more information. 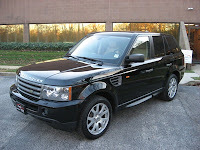 To view a complete listing of our pre-owned inventory, visit us on the web at http://www.pumpkincars.com/. We have financing available for those who qualify and various extended service plans for every buyers needs. All of our vehicles have been FULLY SERVICED and PUMPKIN CERTIFIED. We hand select our vehicles to ensure QUALITY and VALUE for every Pumpkin customer. Stop by soon and see for yourself why Pumpkin Fine Cars is the ONLY CHOICE when it comes to buying a QUALITY PRE-OWNED CAR! 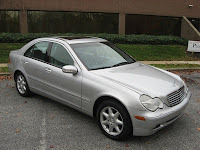 Pumpkin Fine Cars & Exotics' Car Of The Day...a 2002 Mercedes Benz C320, 4-Door Sedan. If you are looking for an AFFORDABLE LUXURY SEDAN with lots of options and reliability...then HERE IS YOUR CHANCE!!!! This pre-owned C320 with its SILVER on GRAY LEATHER color combination is a GREAT VALUE for UNDER $11k!! It has a CLEAN TITLE HISTORY and 91k original miles. It has been FULLY SERVICED, PUMPKIN CERTIFIED and professionally detailed...READY FOR A NEW HOME! This C320 is the smaller sized sedan in the Benz line-up however it has PLENTY OF COMFORT and handles as well as the best of them. It has a V6, 3.2 liter engine, Automatic Transmission and is Rear-Wheel Drive. It has Options including Power/HEATED Seats w/Memory Positioning, 6 Disc CD Changer, Power Moon Roof, Power Rear Sunshade, Auto Dim Rear View Mirror, Alloy Wheels and More!! LISTED AT ONLY $10,995, you won't find a cleaner, nicer vehicle for a better deal anywhere around! Come in for a FREE test drive or CONTACT US at (609)646-7676 for more information. 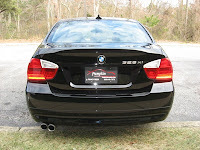 Visit us on the web at http://www.pumpkincars.com/ for a complete list of our pre-owned vehicles or email us anytime at [email protected]. We look forward to seeing you soon in our UNIQUE INDOOR SHOWROOM located at 2511 Fire Road in Egg Harbor Twp. Click here for detailed driving directions! Where in the World is Pumpkin Cars??? Pumpkin Fine Cars, a hidden treasure of Egg Harbor Township is how this should begin...it is true that our dealership has a bit of an aire of exclusivity, a feeling of being part of a VIP club if you will. Trust us when we say that it is not done on purpose, by any means. It is the simple fact that a lot of people do not know where to find us. Even though we've been in the same location for almost 10 years, many people do not know that we exist, or where we exist, per se. We are not just talking about customers that find us online and come from all over the Mid Atlantic region either, we are talking about customers in Atlantic County, our home field. The customers that find us from outside of the immediate geographic area tend to research how to find us if they know they will be traveling a distance, as most consumers would for any destination. They find us on Google Maps (see us there), Yahoo! Local (see us there too) and they use their GPS devices in the car to guide them directly to us. The number one question that we get from first time visitors to our unique indoor showroom that do come from our home turf is, "How long have you guys been here? ", number two is, "How does anyone ever find you?". We kindly explain how long we have been at our location and that yes, sometimes, even when you are looking for our showroom it is not always easy to find exactly where we are located. Almost 100% of the time the response of the customer is something to the effect of, "I've lived in this area all my life and drive right past your complex five times a day and never would have known there was a car dealership there." As always Pumpkin Cars can be reached over the phone at 609-646-7676 and via email at [email protected] . You can find and "Like" Pumpkin Fine Cars on Facebook, follow the tweets of @PumpkinCars on Twitter, see videos of our inventory (as well as video directions to the showroom!) on YouTube and if you enjoyed what you have just read, please subscribe to our blog.